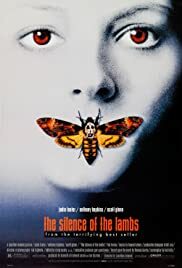 The Silence of the Lambs, having accomplished the rare feat of winning all five of the major Academy Award categories, is a remarkable achievement in filmmaking. Gruesome, pulpish material was transformed by dedicated participants on all levels of production, and a film that would have failed in the hands of many others wound up becoming a modern masterpiece. Taut direction and a superb screenplay might be the best arguments for the film's power, but the flashiest are certainly delivered in the bravura performances of Hopkins and Foster. Their interplay -- and remember, they only share a handful of scenes together -- is nothing short of riveting.